Ahead of the 2019 general elections, it is no longer news that some Peoples’ Democratic Party (PDP) heavyweights in Delta State are set to further perforate the strength of the party. 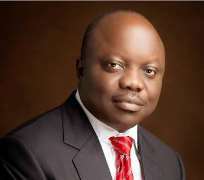 Rumours from the grapevine filtered into town sometime ago that the immediate past governor of the state, Dr Emmanuel Eweta Uduaghan, would soon dump the PDP and root for the All Progressives Congress (APC) to bulldoze his way to the National Assembly to represent his Delta South Senatorial District in the Red Chambers. However, in what looks like justification of the scuttlebutt, Dr Uduaghan, might have concluded plans to make a hole in PDP by throwing away his membership of the PDP but when and where is still sketchy to our correspondent. But a chieftain of the APC, Solomon Edoja, disclosed that the former governor of the state would certainly pull out of his party and join forces with APC, a statement he made on Saturday, July 28 in his Kokori country home while fielding questions from journalists shortly after hosting a meeting of the APC. Said he: “But it is certain that the immediate past governor of Delta State, Dr Emmanuel Uduaghan, who did eight years as governor of the state on the platform of the PDP will be decamping from the PDP to the APC soon”. “It is certain that Uduaghan is decamping from the PDP to the APC but the day and place where he will decamp I cannot tell but what I can say is that he will join the APC with all his supporters and that is going to be a big loss to the PDP in Delta State”, Edoja hinted. The meeting was meant to brief APC members in his ward of the recent development in the party as it relates to the faction and final reconciliation of dissenting interests of members of the party. In his words: “haven reconciled the various interest groups, the party now has a formidable structure to confront the PDP in Delta State even as he used the opportunity of the meeting to inform his constituents that he would be running for the seat of the Ethiope Federal Constituency in the House of Representatives and sought their support. He said having reconciled, the APC would continue with the peace building process even after the election stressing that the reconciliation with the Emerhor group was sincere since they had the opportunity, during the reconciliation meeting, to air their grudges “but at the end of the day, there was no dissenting voice to the terms of settlement”. Edoja said that over 99 per cent of the electorate in Delta State is in support of the political direction of the Ogboru/Omo-Agege led group of the APC and as such, reassured that the APC would defeat the PDP in the 2019 governorship election. According to him, as far as defection was concerned, “no notable politician in Delta State has defected from the APC to the PDP so any excitement by members of the PDP in Delta State with respect to the issue of defection at the national level is a non-issue. Speaking on his political ambition, Edoja, said his ambition for election into the seat of the Ethiope Federal constituency in the National Assembly was tied on adequate representation, regular and thorough feedback and providing meaningful benefits to his constituents.